– Use “Lite” for dry and mild conditions. – Use “Original” for wet, muddy, and extreme conditions. 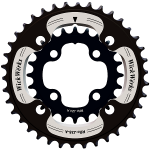 At WickWërks, we go through a lot of chainrings, and a lot of chains and chain lube too. We test in all sorts of obnoxious environments and conditions, so we take note of products that work. 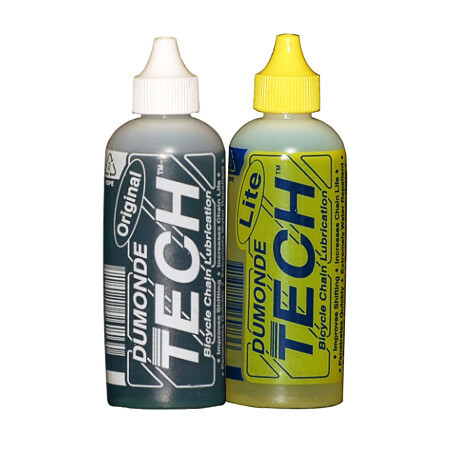 Dumonde Tech chain lube is one of those “it works” items. – This ‘liquid plastic’ chain lube forms a protective layer around your chain that won’t wash off. It builds up with each application to create a low-friction barrier that not only protects your drivetrain, but will help keep it running clean and quiet. This is the only chain lube you’ll ever need to buy. – Bonds to your chain and won’t wash off. – The more you ride, the better it protects. – Will outlast any other chain lube. 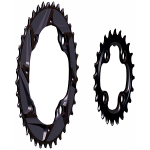 – Helps extend the life of your chain, cassette, and chainrings. 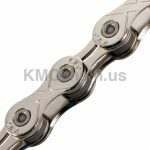 – Chain will stay cleaner and run quieter. – Has a strangely appealing aroma. Lite and Original chain lube differ only in their concentration. The Lite is less concentrated and functions best in drier and/or milder conditions (like road cycling and dry mountain bike conditions). The Original is better for wet environments in both “ON” & “Off” road applications. For hard-core long mountain bike rides, and especially for cyclocross, this is a must have item for your arsenal. For more information, see the Dumonde Tech web pages for Original and Lite versions of the chain oil. It basically says the same things we’ve repeated here, but do look if you’re interested. We’ve been using this chain lube on and off for several years, and keep coming back to it for our own personal bikes.